The Dining Plus Card is truly one of its kind which offers free holidays, convenience and loads of discounts in over 2000 merchant outlets ranging from 5 star hotels, stand alone restaurants, resorts and pubs, to fitness centers and hospitals in the UAE, India and the Far East. The moment you own a Dining Plus card, you will enjoy fabulous discounts + complimentary hotel stays + great deals at the best hotels and lifestyle facilities + highly personalized concierge services. Hence, it is known as “The card with the PLUS factor”. A complimentary 3 days/2 nights stay in a hotel of your choice, in multiple destinations across India and the Far East. No other dining discount card offers such an attractive deal! Great discounts of up to 25% in more than 400 of the best dining outlets in the UAE. Our dining network includes Hotels, and Stand-alone Restaurants, Coffee Shops and Fast Food outlets. So whether it’s a business lunch, an occasion, a family evening or just a night out with friends, you have a wide choice to pick from. Great discounts at shopping and more: With a Dining Plus card you can also avail discounts at more than 50 outlets related to medical, apparel, lifestyle, fitness etc. Travelling abroad? Carry your dining plus card with you. The card gives you unbelievable privileges and discounts in over 1600 outlets across India, the Far East and the Oceanic Region. It is valid in Singapore, Thailand, Malaysia, Indonesia, Macao and Australia. Free Value vouchers which you can redeem at restaurants, leisure and entertainment outlets! The confidence of owning a card that is trusted by several thousands of loyal users, both individuals and corporate houses since 1995 in UAE and India. 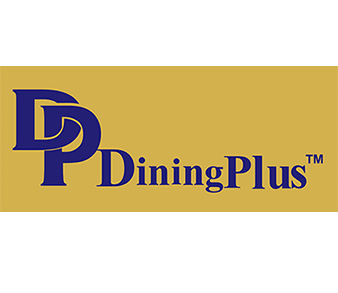 To find out more about Dining Plus, visit us at www.diningplus.ae .